This cannabis infused-infused unscented lotion, is extremely hydrating and packed with a powerful combination of THC + CBD. This option is especially great for those with sensitive skin. Blended in a fast-absorbing, organic spa-quality lotion base, this lotion leaves no trace of cannabis-scent, making it a discrete and effective option for topical pain relief throughout the day. 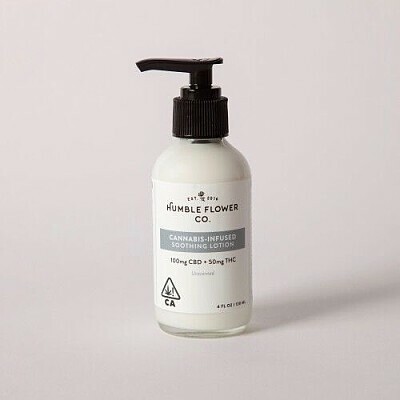 Humble Flower Co. lotion has been known to aid in the relief of psoriasis, eczema, dry skin and many other ailments.